Well there it is. I had been thinking of putting together tropical flavors in a granita for such a long time but I just kept on putting it off. Next time, tomorrow, later. I am sometimes plagued by proscrastination that to just venture to something else that takes less thinking attracts me more. When I finally got around to making this, I reprimanded myself for not tackling this recipe sooner because it immediately won me over. I love it, no kidding. I never really thought of substituting Italian, or Sicilian flavors with the granita (what will the purists say) but this has got to be an exception because truly, you can easily fall in love with it. 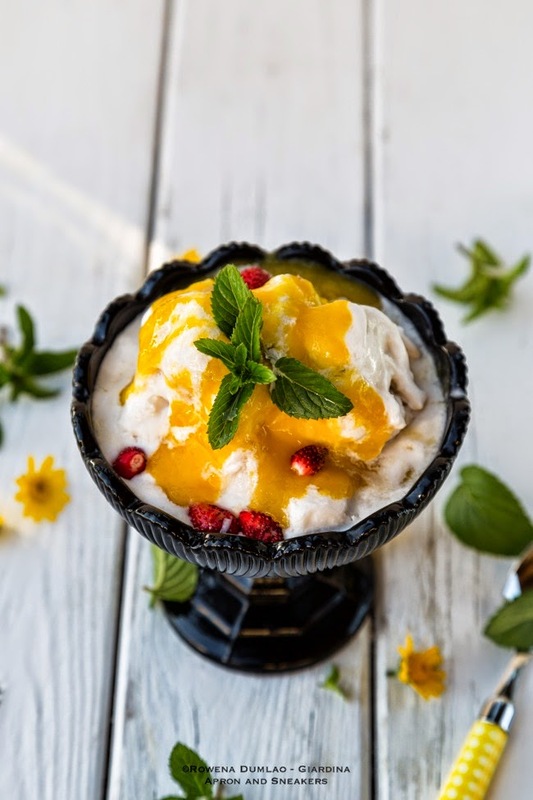 Imagine soft and silky coconut granita made of coconut milk then covered with mango sauce. Yum! So the next time you have a can of coconut milk in your hands, grab a fresh ripe mango too and make taste for yourself what this is all about. Buon appetito! 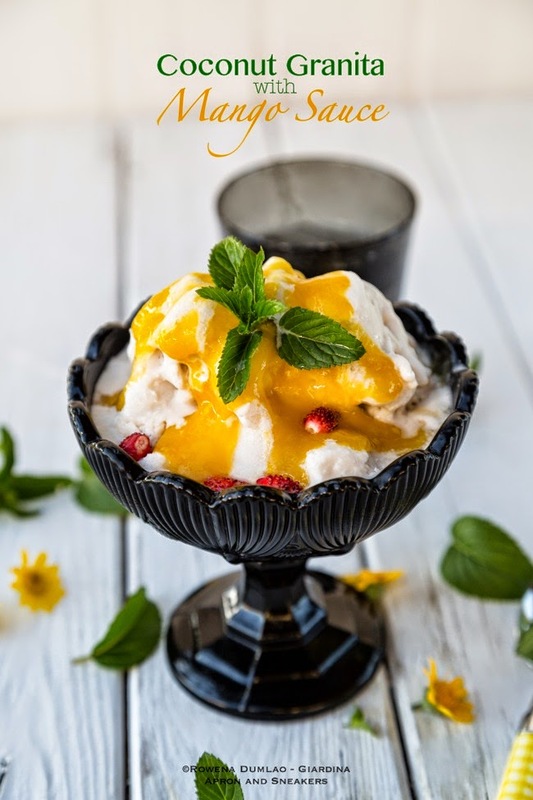 I created this Coconut Granta with Mango Sauce recipe for Skinny Ms., a site that's about healthy living with tips, resources and recipes on how to follow that line of a healthy lifestyle. 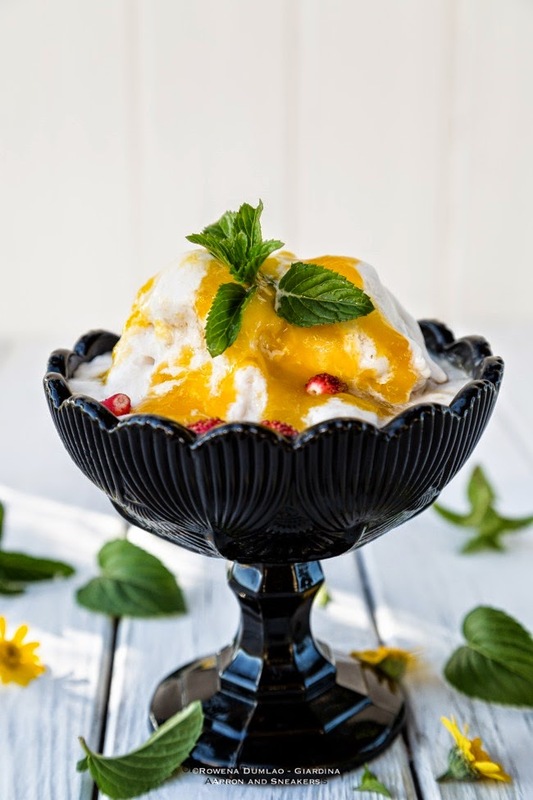 So, make your spoon take a dip in this bowl of dessert for a bit of exotic journey.